The Pennsylvania Board of Probation and Parole allows public users to securely pay Offender Financial Obligations online. Payments may be made using a Visa, MasterCard, Discover or American Express credit or debit card, or by ATM card only. A convenience fee of $2.75 will be charged for each transaction. For questions regarding payments made on Pennsylvania Board of Probation and Parole Supervision fees, please contact your Probation/Parole Agent. 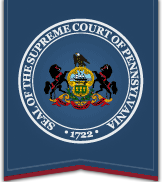 The information on this site is compiled and made available for public use by the Pennsylvania Board of Probation and Parole (PBPP) and the Administrative Office of Pennsylvania Courts (AOPC). Offender Financial Obligation charges are updated daily. Recent payments will not be immediately reflected on this site. The Unified Judicial System and AOPC make no representation as to the accuracy, completeness or utility, for any general or specific purpose, of the information provide herein and as such, assume no liability for inaccurate or delayed data, errors, or omissions. The AOPC makes no guarantees regarding the timeliness of an online payment and its effect on the person's probation/parole supervision status. The processing of payments is dependent upon the PBPP. Offender Financial Obligation balances will not be updated until processsed by the PBPP.